As summer winds down, school has restarted, and the overall concept of the summer season comes to an end, I can’t help but wonder about the Summer Safety Plan, and how that worked out for the city. As you may recall, in early June there was much said by politicians and public officials about the need to reduce the violence in Cincinnati. The City Manager got on board and issued a directive to the Police Chief to produce a 90 day plan that would help reduce violence in the City of Cincinnati. Several days later the Police Chief, the mayor, and the City Manager took to the podium and explained to us how the plan would work. Almost immediately following that, the plan was revised once, twice, maybe three times until the final watered down version was put into place in July. Since then very little was said or written about the plan and whether it has been effective. So I did my research. Here is what I found. Finding crime statistics for the City of Cincinnati turned out to be somewhat difficult. The Cincinnati Police Department publishes only one document called the Statistic and Tactical Analytic Review for Solutions (STARS) Report. This report publishes limited crime statistics but is enough to find out if crime is up or down in the City. The report is not real-time but is as up to date to within several days of the time it is published. The report is published on a weekly basis, but older reports do not seem to be readily available with the published report limited to only thee latest report. This is all that is necessary to determine if crime is up or down, but not enough if one is looking to compile week by week statistics. Additionally, the report is limited to reporting only by the Police District of occurrence and an over all city-wide report, but it does not drill down and provide neighborhood crime statistics. This is surprising as the City of Cincinnati is neighborhood centric and the Police Chief himself coined the Phrase “True to 52”. Yet one cannot easily find out the safest and the most dangerous of the 52 neighborhoods. But I digress, back to the Summer Safety Plan. The question is, is the Summer Safety Plan working? Recent comments by Jeffrey Blackwell indicate that it is, but the STARS report says otherwise. It would appear that crimes of violence are on the upswing with the City experiencing an increase in all violent crime except Robbery. 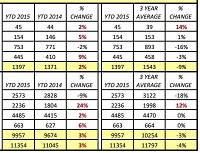 Violent crime in Cincinnati per the latest report is up 2% over the same time period last year. Additionally, all property crimes are also increasing with the exception of Burglary and Breaking and Entering offenses. A separate page of the report details shooting offenses, a crime the Summer Safety Plan was specifically designed to address. If one uses this as a barometer to gauge the effectiveness of the plan, one would have to surmise that the plan has failed up to this point. Shootings for the past 28 days are up 63.6 per cent over the same time period last year. Bear in mind that the summer Safety Plan was in effect over those same 28 days. The numbers do not lie. At the initial press conference when the original Summer Safety Plan was revealed, Mayor John Cranley stated they would try this, and if it did not work, they would try something else. I have heard some recent reports that he is meting with communities for input. I wonder if the Mayor is also meeting with the Police Department for input? They may be a good resource. Is it not working and so the mayor is meeting with the communities to help formulate a new plan. Chief Blackwell has been quoted as saying that he thinks the plan is working even though crime is still rising. However, he is quick to point out that crime is rising overall nationally. I suspect that the citizens of Cincinnati do not really care ab out the overall national crime trend, they only care about crime in Cincinnati. To point out the national trend is a diversion. It is my opinion that the answer has not been yet found. Reduction of violent crime in the City is necessary. Cincinnati needs to be known as a safe city, and Cincinnatians deserve to feel safe in their city. I believe that more cops need to be put where more cops are needed, in patrol. More cops need to be patrolling the streets, riding in beat cars, walking in neighborhoods. More cops need to be hired, not only to replace those who are leaving, but to increase the complement back to safe levels, safe for the citizens and safe for the cops on patrol. When that happens, when the city is safe again, we will know. Once the numbers on the STARS report are back in the black, then it might be considered a safe city. Until then, it is back to the drawing board boys.